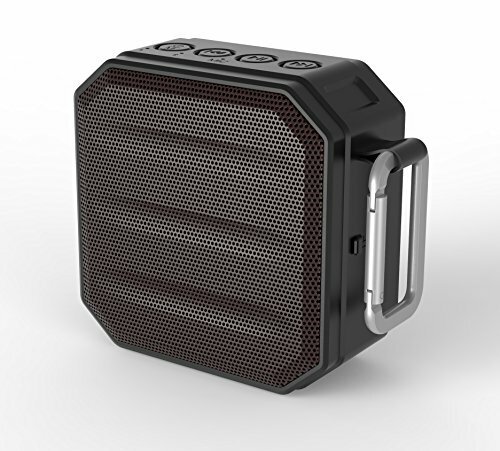 Wireless portable Bluetooth speaker: It delivers a High Definition sound with a impressive volume. You can enjoy the lovely music around the house, or partying, walking out, camping, hiking, biking and shower etc. With 5W*1 speaker, it streams incredible sound with full range output, enable powerful, crisp and rich bass music. Multi functions : Bluetooth 4.2 version, MP3 player (Micro SD card input), FM radio and AUX line in with 3.5mm audio cable. If you have any questions about this product by Uleader, contact us by completing and submitting the form below. If you are looking for a specif part number, please include it with your message.